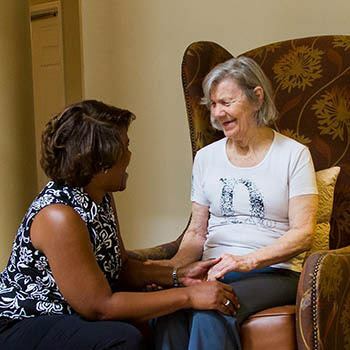 At The Phoenix at Roswell, we care for our residents as we would our own family. Our goal of overall wellness is incorporated into every aspect of our assisted living with apartment style suites, individually tailored activities, and purposeful interaction. We begin by identifying our seniors’ floor plan preferences including their choice between one bedroom and one bedroom deluxe suites. Next we measure each resident’s abilities and aptitude, providing appropriate and beneficial assistance. With the intent of building self-esteem, we assist only as needed, creating a spirit of achievement and emotional wellbeing.